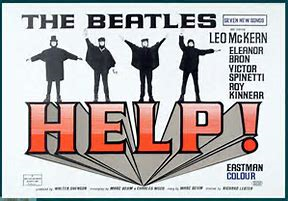 Now The Beatles: Here, There, and Everywhere maps out the journey of this legendary rock sensation. Relive everything from the tentative debut of the Liverpool natives in Hamburg’s tawdry red light district to their innovative recordings at Abbey Road Studio. In this unique book readers learn about the Beatles’ famous audition at Decca studios, the flat at 57 Green Street, their American debut on The Ed Sullivan Show, plus many other stops along their road to stardom. With full spreads devoted to each British album, additional notes on instrumentation and solo careers, plus tons of Fab Facts, this book captivates fans of all ages. A unique way to explore the history of this legendary group, The Beatles: Here There, and Everywhere provides you with a ticket to ride on their journey. 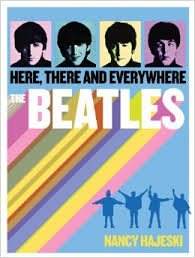 The Beatles: Here, There and Everywhere by Nancy J. Hajeski is a 2014 Thunder Bay Press publication. Growing up, in the mid-seventies, I associated Paul McCartney with 'Paul McCartney and Wings'. The radio played a few Beatles songs now and again, but none of my classmates were into the Beatles and so I wasn't really interested in them, either. However, when a local resident needed expensive surgery, our town held a garage sale to help raise money for them. Someone, who obviously didn't know the value of their collection, donated a stack of Beatles albums and stuck a 25 cent tag on each of them. I didn't know that much about the group, but I snapped up every one them. From that day forward I was a HUGE fan. So, when I saw this book, I couldn't pass it up. This is a beautiful coffee table book with spectacular color photographs and offers a history of the band from their humble background in Liverpool to the their solo careers and offers the up to the minute last known facts about the surviving members, the wives, and children. I have had so much fun sitting down with this book and looking through all the nostalgic photos, reminders of the turbulent sixties, the various trends and political climate that the Beatles seemed to personify at times, and my children have also found the book to be very interesting as well. If you have this book sitting out on your coffee table, it is sure to encourage a lot of discussion, evoke fond memories, and is sure to impress friends and family. Since this is a 'coffee table book, the story is told more so with pictures and less with words, but wow! What a collection of photos. 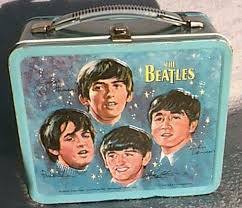 Album covers, clothing styles, all manner of memorabilia, from the famed Beatles lunch boxes to wigs, and coloring sets... You name it. Who influenced the Beatles? Who did they influence? What were the many moods of the group? Who were the people they spent time with? Who worked behind the scenes with the group? There was a section devoted to the movies the group made, which thankfully have pretty much stood the test of time and don't elicit the usual eye roll that Elvis movies do. One of the most interesting sections in the book was the photographs of the instruments used toward the middle of the group's success. They were being influenced by groups like the Byrds at this point, but they were also beginning to see a little more income. This provided them with the opportunity to experiment with various instruments and styles. There is a section devoted to the Apple label, a section about the private lives of the members, a section offering an individual profile of each member, updating us on everything from marriages, children, and of course the sad deaths of two of the group's members. Although the world as moved into a whole new hemisphere, people are still discovering this group, still respect the world they opened us up to, which influenced so many others, and had such an incredible impact on music as we know it. No one could have predicted Beatlemania, the British invasion, the concept album, and many other events that shaped so many lives during the sixties. It's a testament to the talent of these men who turned the music world on its ear and gave us all so much pleasure over the years, that they all managed to overcome the stereotypes and forge their own success individually. 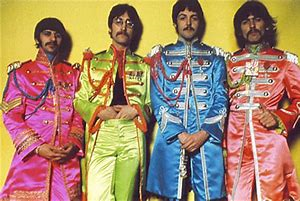 Every time I hear a Beatles song, or pick up a book about the Beatles I am once more reminded of how awesome they were and how far they came. I am impressed all over again. This is a fascinating look through history, pop culture, and the band that started a whole new era in our lives. Even if you think you are not a big fan of this group, you may discover after looking through this book, that they influenced you in ways you never realized. 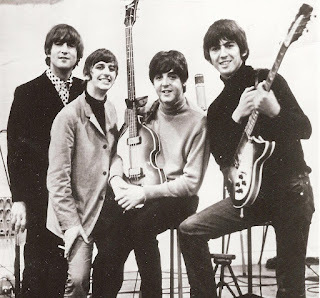 John, Paul, George, and Ringo - forever! This book is over three hundred pages long, but you will need to know that if you buy the hardcover copy, this book is massive in size and is simply breathtaking. If you love the Beatles, history, pop culture or if you know someone who does, this would be a perfect gift. I can't say enough nice things about this book. Nancy J. Hajeski is the real name of author Nancy Butler. Nancy Butler had been—more or less—living in the 19th century since the publication of her first Signet Regency romance in 1998. Twelve novels and three novellas later, she found herself rudely back in the 21st century when the Regency romance genre faded (yet not, oddly, Austen-mania). Fortunately, in 2009 Marvel offered her a chance to adapt Pride and Prejudice for their illustrated classics line, putting her firmly back in the era she adored. The hardcover compilation became a New York Times bestseller in the graphic novel category, and when it reached No. 2 on the list there was great rejoicing. Butler also writes nonfiction for middle-schoolers under her real name, Nancy J. Hajeski, and is the author of The Hammond Book of Presidents and of three Hammond Undercover titles: Rocks & Minerals, Princesses, and Sharks.